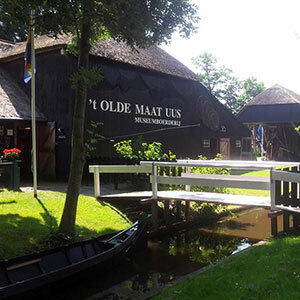 Museum farm 't Olde Maat Uus in Giethoorn. Here is a picture of how one lived and worked in Giethoorn 100 years ago. The mueseum is housed in a beautiful renovated farmhouse.